Is Larry the Labrador home alone all day while you work? Perhaps Sally the Staffie isn’t getting the exercise she needs? Despite Australia having one of the highest rates of dog ownership in the world, not every animal gets the attention it deserves. And not everyone who loves dogs can have one. 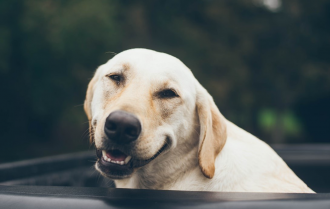 Key considerations in not committing to a canine companion include property prohibitions, being unable to take them on holidays, and/or the amount of exercise they require. But what if things were done differently? 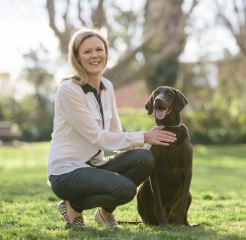 Jessica Thomas found a great way to provide Duke, the family dog, with more walks – she teamed up with a dog-owning neighbour … and the Dogshare concept grew from there. 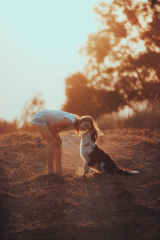 Dogshare exists solely to introduce dog-owners to other dog-lovers in their neighbourhood … and in so doing provide the dogs of Australia (and their humans) with extra enrichment, affection, exercise, companionship (day or night) and perhaps even weekend and holiday stay-overs. Our service is free for dog owners, with a small fee involved for our 'responsible dog helper' group to cover the cost of providing this service. Once you've applied to join Dogshare, a team member will review your profile and ensure our criteria are met. We may need to ask a few more questions before proceeding with your application. Once approved, your profile will be visible on the members-only section of the Dogshare website. You can then log in and discover other dog-lovers in your neighbourhood. And the rest, as they say, is up to you. You can introduce yourself to and have conversations with local dog-lovers and hopefully establish some rewarding friendships. 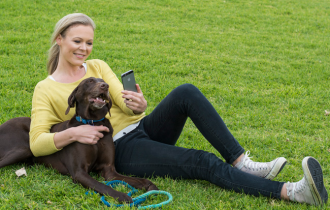 Viewing others' profiles let's you know why they signed up to Dogshare, and you can search for people near you who may be able to meet your dog's needs, be it walking, minding or simply companionship from time to time. Remember not to rush things. It's important to treat each new interaction as a potential friendship first. Forming a bond of trust with another dog-lover takes time, and only once that trust is established can you ask for help with your canine companion.